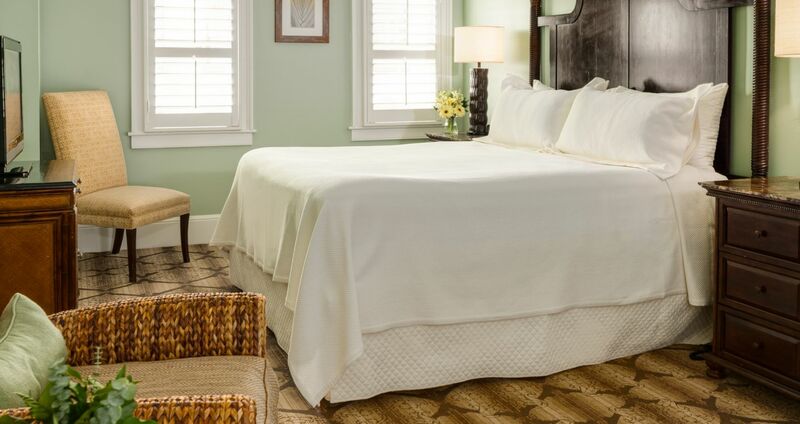 The Andrew Pinckney Inn’s Townhouse Suites feature a downstairs separate living area which boasts a comfortable pullout sleeper sofa, half bath, and wet bar area – complete with mini-refrigerator and microwave. The upstairs master bedroom offers a king size bed and sitting area with writing desk. The master bath, encased in hand-laid Italian Travertine porcelain tile, features granite countertops, Kohler bath fixtures and spa quality Gilchrist & Soames amenities. 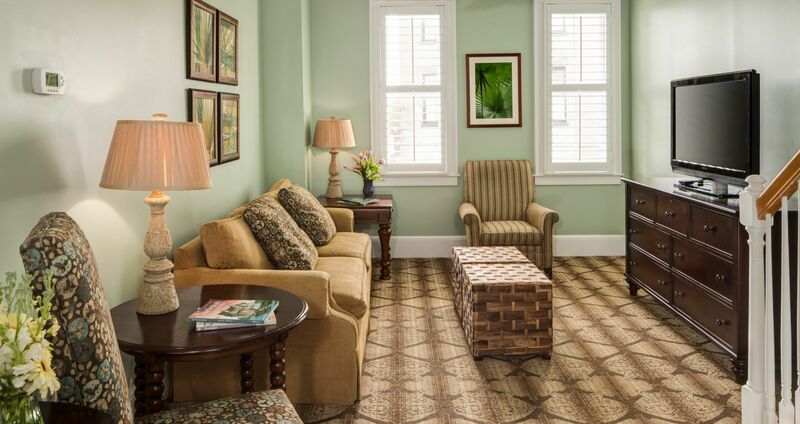 These Charleston Historic District Townhouse Suites are outfitted with a host of modern in-room comforts and amenities.